“The children have lost interest, we didn’t know what to with it,” read the shocking scrap of paper left with the abandoned pet. Luckily, another caring family found the box containing the brown and white male rabbit and alerted the RSPCA. As the animal welfare charity today appealed for help trying to trace where the rabbit had come from, investigators condemned the unacceptable way the vulnerable animal had been thrown on to the streets. 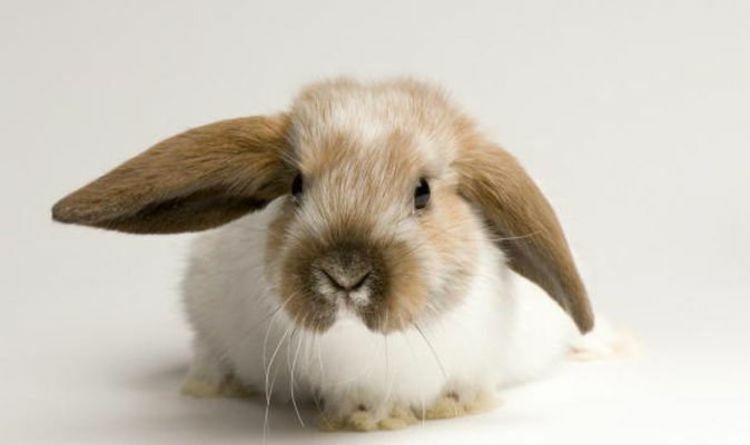 Rabbits are arguably Britain’s most forgotten pets. Families look after more than 1.5million of the docile creatures, but for too many comes an existence of living in unsuitable hutches, being fed the wrong food and enduring solitude when they are highly social animals. Recently released RSPCA figures show the charity investigated 2,428 rabbit neglect complaints in 2017, while also rescuing more than 2,000 of the animals. On average, there were two bunnies dumped every day, with 874 abandonment complaints coming through to the charity that year. With a shocking Ofcom report published today warning how children are becoming addicted to internet screens at the cost of abandoning friends and giving up hobbies, youngsters' diminishing attention spans bode badly for animals traditionally taken on as the first family pet. Shocked RSPCA Animal Collection Officer Jill Sanders explained how the latest rabbit casualty had been found abandoned in Dickenswood Close, Upper Norwood, South London, last week. While the rabbit is being cared for at the charity’s Putney Animal Hospital, attempts are being made to find out where he originates from. If nobody comes forward to claim the pet then he will be re-homed. In the past, the RSPCA has gone on record to describe rabbits as “one of the nation’s most misunderstood animals”. The charity’s rabbit welfare expert Dr Jane Tyson warned: “Lots of rabbits are still kept in small hutches without access to an area in which to exercise, many rabbits are housed alone instead of in pairs, and not all are having their nutritional needs met. Anyone who knows where this rabbt came from can contact ACO Sanders by calling 0300 123 8018.